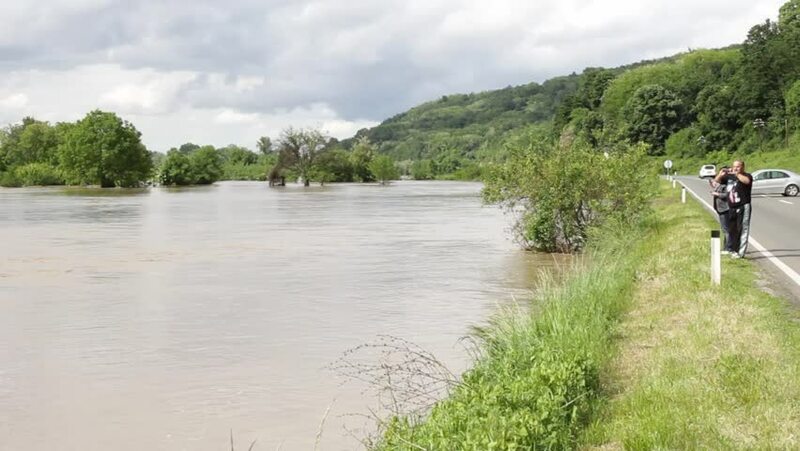 Serbia,Mrzenica,May 17th 2014.Man photographing river flooding from the main road,tracking to submerged house to the roof in the middle of water,river flow in the background.sunny day,dusk cloudy sky. hd00:10Water flowing and flooding agricultural fields, trees and forests,cloudy sky,sunny day.Landscape of flooded countryside.Perfect for videos about: heavy rainfall, storms, typhoons, natural disasters. hd00:50Aerial shot : Khao Khanap Nam, Krabi Province, THAILAND. 4k00:15Vang Vieng Time lapse in Laos. Vang Vieng is a famous travel destination in Laos, not far from the national capital city of Vientiane.